The works of the fort around the Sree Padmanabhaswami Temple in Thiruvananthapuram was started in 1747 during the reign of King Marthanda Varma of the erstwhile Travancore kingdom. 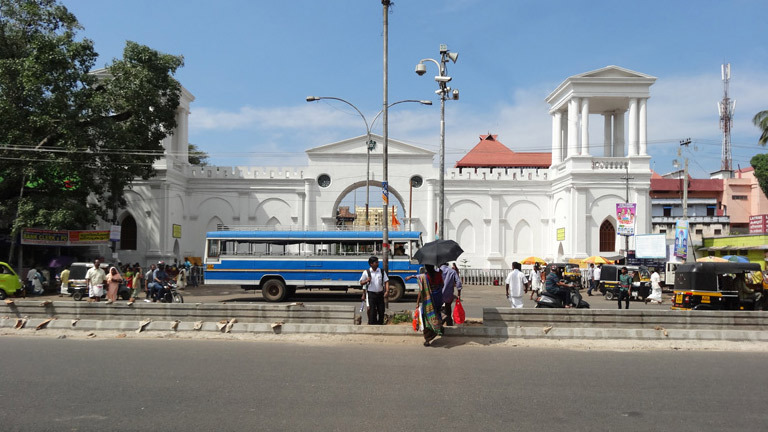 It was completed during the reign of Karthika Thirunal Dharmaraja in 1787. The fort, built as per the design of vastuvidya (traditional architecture) expert Thycaud Vishnuthrathan Namboothiri, is 15 feet in height and 11,320 feet in length. There are four major entrances to the fort namely East Fort, West Fort, North fort and South Fort. Besides, there are small entrances at Sreevaraham, Sreekandeswaram and Vettimuricha Kotta. The state archaeology department took over the structure in 1985.